Maxine McKew’s career spans both politics and journalism. In November 2012, Maxine published her memoir “Tales from the Political Trenches”. 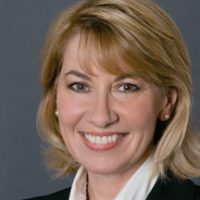 Maxine McKew is a Vice Chancellor’s Fellow with the University of Melbourne and works as an advisor on education for the not for proﬁt group Social Ventures Australia. She is also Chair of Playgroup Australia and a member of the board of Per Capita. At the 2007 federal election Maxine McKew won a spectacular victory against John Howard and wrote herself into Australian political history as only the second candidate to have ever defeated a Prime Minister in his constituency seat. She was immediately elevated to the executive and served as Parliamentary Secretary for Early Childhood, and later as Parliamentary Secretary for Infrastructure, Regional Development and Local Government. Before making the switch to politics, Maxine had a thirty-year career as a broadcast and print journalist. Her hosting of Lateline in the mid-1990s, and later, as the part-time anchor of The 7.30 Report, earned her a reputation as one of the country’s most authoritative interviewers.